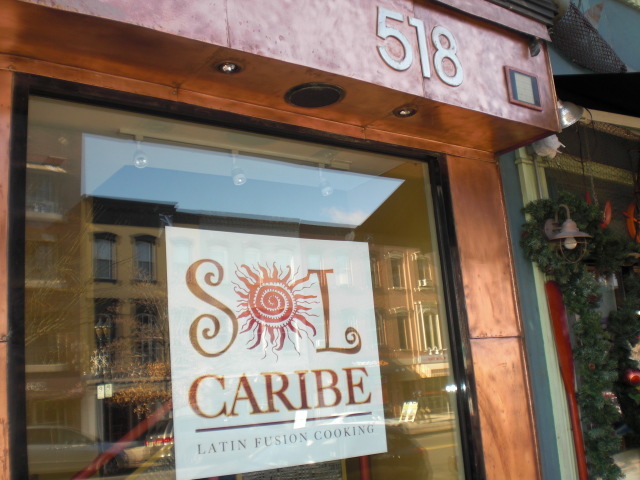 Sol Caribe in Hoboken is now open for business. This new Latin Fusion restaurant is offering a great menu available all day but a Ala Carte Menu is available with most meals ranging from $10.00 to $12.00. The decor is very clean, beautiful bamboo adorns the walls, lots of rattan and wicker makes you feel like you are having lunch on one of the islands in the Caribbean. The very friendly staff was warm and inviting and gave great service. For $7.99 you get a choice of your meat, rice, a side dish & either Soup or Salad. They do have a great selection of tropical shakes and sodas. We decided both decided on the Chicken Soup which was seasoned very well. I had the Shredded Beef with peppers and onions, Caribbean Rice (Yellow Rice with Vegetables), Maduros (Sweet Plantains) & Fried Yuca (Spanish Potato) and my dinning partner had the Fried Talapia (which I tasted and was fantastic), Caribbean Rice, Maduros & Fried Yuca. Main Dishes served daily are Shredded Beef, Fried Talapia, Smothered Chicken and Fried Pork. 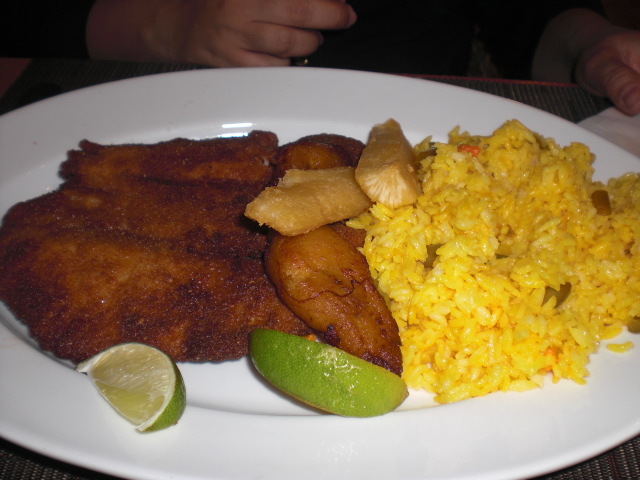 Rice dishes are Caribbean Rice (Yellow Rice with Vegetables), Arroz Moro (Cuban Rice) or Arroz Chaufa (Peruvian Rice). 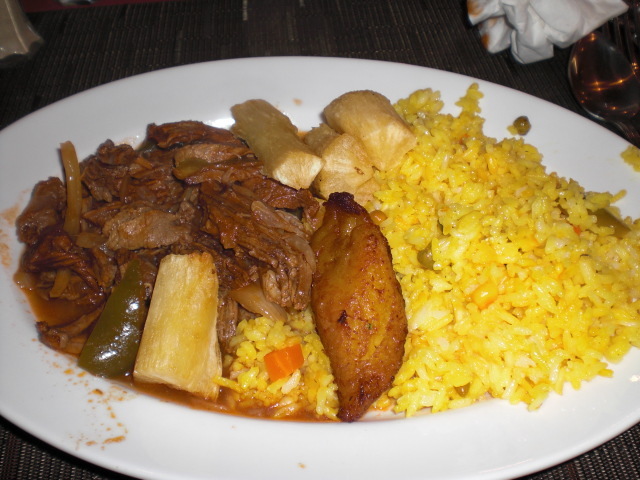 Sides are Maduros (Sweet Plantains), Fried Yuca (Spanish Potato) or Steamed Vegetables. As your appetizer you can have the Soup of the Day, Caribbean Salad or a Pasta Salad. It’s a very affordable, streamlined menu of Latin Fusion Flare. My dinning partner got a meal to go which looked delicious, she had the Sol Caribe Chicken & Rice for $11.95. Check them out it’s a nice alternative to the traditional Spanish restaurants we are use to in Hudson County.